This past summer, I produced my first Sweet Spots paper for Athens, Georgia. I was thrilled to have Hugh Acheson be one of the first to buy an ad for it and I have to say, he's always been the kind of great guy we see on TV. I've appreciated his support and am a huge fan of his recently released cookbook, The Broad Fork- which by the way, just got listed as the best cookbook of the year by Epicurious (great gift idea). As an added plus, Hugh is an avid traveler and stylish dresser, which makes him fun to follow on Instagram. It's just another way to let this fun and talented, guy-next-door chef into our lives. He's a good man- and I'm as happy as can be to share his stellar Peach Picks on Sweet Peach this holiday season. Thank you Hugh! 1. Phil and Sebastian Coffee, from $18.50. Phil and Sebastian is a phenomenal coffee roaster in my native Canada, based in Calgary, Alberta. Brilliant packaging but even better sourcing and skilled roasting of the beans. It's also sold at Spiller Park Coffee in Atlanta. Save on that shpping $$$! 2. Vintage Cast Iron Pan. Some great cast iron is available on Etsy and Ebay. Look for Griswold brand. And if you find a well seasoned cast-iron (I mean seasoned like you can see your face in it), don't think, just buy. You will never regret it. 3. All Clad 12" inch stainless collection fry pan, from $95. This is one of the most used pans in my kitchen. And it's also one of the oldest- a testament to the durability of the All Clad product. 4. Chubo Utility Knife, $195. This has become one of my favorite knives. And I have a lot of knives. It's pricy, but worth it. 5. McEvoy Ranch Olive Oils, from $29. Olive oil has such a presence in my food and I love showing off the wonderful producers in our midst. McEvoy Ranch produces award-winning, clean and truly delicious olive oil. 6. R. Wood Studio Ceramics, from $22. Rebecca Wood is an iconic Athenian artist and for good reason. Her ceramics befit the most elegant Southern table, but also find a happy home in well-used kitchens. 7. Condor Chocolates Truffle Gift Box, from $8 (in store only: Athens, GA) or chocolate bars from the online shop, $9. 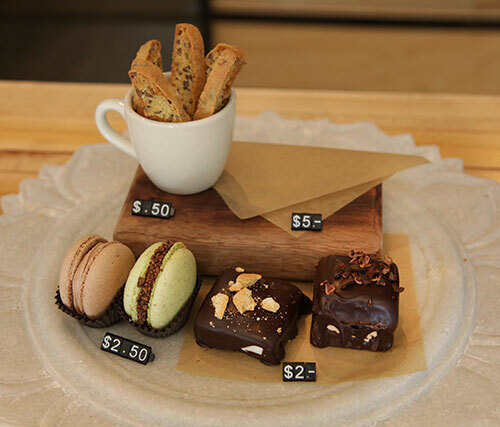 My buddy Peter Dale is serving up delicate, carefully crafted (by the talented Shae Sims) chocolates and confections that will put a smile on anyone's face. Several seasonal truffle offerings make for an elegant and fun gift box. 8. Gift Certificate to Bikram Yoga Studio, Athens, from $18. Mary, my wife, enjoys a regular practice at our local Bikram yoga studio. It's a state of the art facility that beginners and seasoned practitioners alike patronize. 9. Subscription to AFAR magazine, $20. Beautifully laid out, stunning graphic design and a great resource for the eclectic traveler, of which I am one. 10. David Hale prints, from $15. I wear David's art on my arm, but if you're needle-shy, you can get a print instead. His work is vastly intricate and very stylized. He's a dedicated artist. 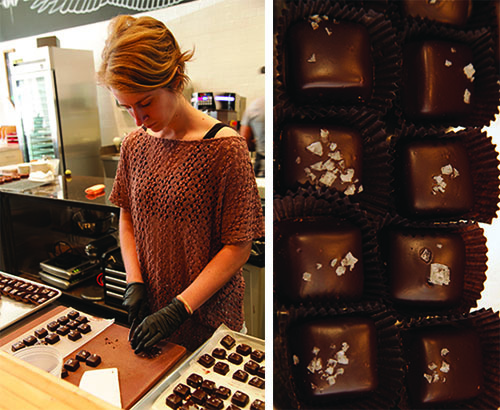 As if there was not enough reason to visit Athens, Georgia, brothers and business partners, Nick and Peter Dale recently opened a chocolate shop in the historic Five Points neighborhood that's a must-see. 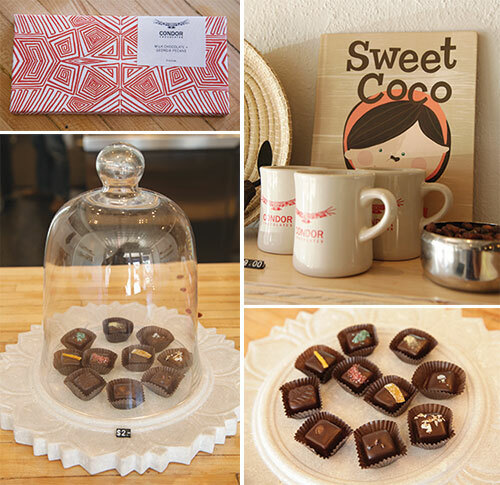 It's called Condor Chocolates and it's a homage to the birthplace of their mother. The shop is open and bright and you can watch the chocolate making process from the counter. Plus, they have a few select gifts you can buy, many from Ecuador. A chocolate shop sounds fun no matter what but this one is quite special- not only for the owners attention to providing quality produced chocolate, but for caring about the visitor experience and sharing it all via stellar interior design and product packaging. 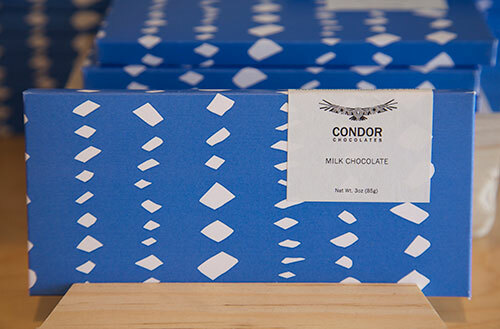 (The package patterns were sourced from local artist David Hale and fabric engineer, Susan Hable) Condor Chocolates is well worth a visit next time you're in Athens, just click here to learn more.